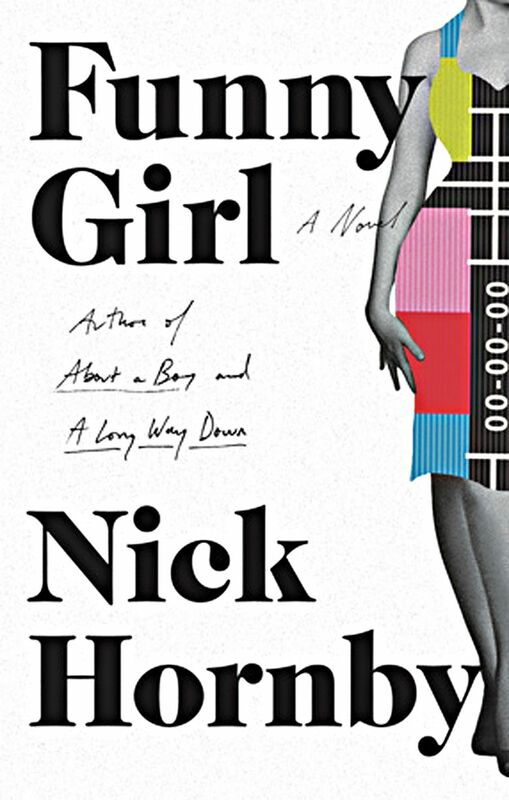 Nick Hornby’s new novel, “Funny Girl,” draws its inspiration from a golden era of television in Britain, featuring a working-class beauty who becomes one of Britain’s reigning TV queens. Hornby appears Sunday, Feb. 8, at Town Hall Seattle. Smart, beautiful, strong woman from the boonies goes to the city, weathers crises, triumphs and falters, and finally reaches a level of grateful acceptance for everything good in her life. A dusty and shopworn story, it might seem. But, apparently without breaking a sweat, the gifted British writer Nick Hornby has made it fresh, flavorful, unironic and emotionally resonant. Not to mention really funny. Cue the title of “Funny Girl” (Riverhead, 464 pp., $27.95). The author of “Funny Girl” will appear at 7:30 p.m. Sunday, Feb. 8, at Town Hall Seattle, 1119 Eighth Ave. Two ticket options: $35 admits one person and includes one copy of the book; $40 admits two people and includes one copy of the book. For more information and for tickets go to elliottbaybook.com or call the Elliott Bay Book Co. at 206-624-6600. England, 1964. The Empire has crumbled. The country is stirring after its postwar slumber. Bland music and fashions are giving way to the Beatles and Swingin’ London. And sitcoms rule TV. Working-class Barbara Parker, a bombshell who’s just become Miss Blackpool, impulsively declines the title. She’s destined for more than queen of a provincial town. Say, becoming just like her idol Lucille Ball. So it’s off to London, a poky apartment and a department-store job. Soon enough, Barbara’s beauty, sweet sincerity and overall va-va-voom land her an agent, a new name and a starring role in a new sitcom. The show’s producers bank on her bosomy attributes, until they realize that Sophie Straw (as she’s now called) has brains, wit, a no-bull attitude and genuine sweetness. So they scrap everything and build a new show: a husband-and-wife comedy called “Barbara (and Jim).” It’s no accident that Barbara is Sophie’s real name, and those parentheses are revealing — there’s no question who wears the pants. “Barbara (and Jim)” is a smash hit — everyone loves Sophie. What follows is an utterly charming and hugely enjoyable story about famous Sophie and her devoted colleagues: writers Tony and Bill, director Dennis, and philandering co-star Clive. They’re all a bit in love with Sophie — the real one, not the actress. Even Bill, who’s gay at a time when that was a punishable crime in England, has a little crush. Each supporting character here is fully formed and complex, though perhaps not as richly as Sophie. And this wouldn’t be a Hornby book without a pop-music reference. Here, Keith Relf of the (real-life) Yardbirds fails at picking up Sophie in a pub. Along the way, Hornby riffs brilliantly on a number of subjects. Among the topics: class differences. The joy of collaborations and the heartbreak when they end. Not to mention condescending eggheads: In one of the book’s funniest moments, a pipe-smoking intellectual on a talk show sneers at any activity that people might actually enjoy — and gets what he deserves. So Hornby knows a thing or two about vivid, incisive, unpretentious storytelling. “Funny Girl” proves it — his fluent voice, sincere love of popular culture, and very big heart come through loud and clear. Adam Woog’s column on crime and mystery fiction appears on the second Sunday of the month in The Seattle Times.